Casinos are not just for gamblers. 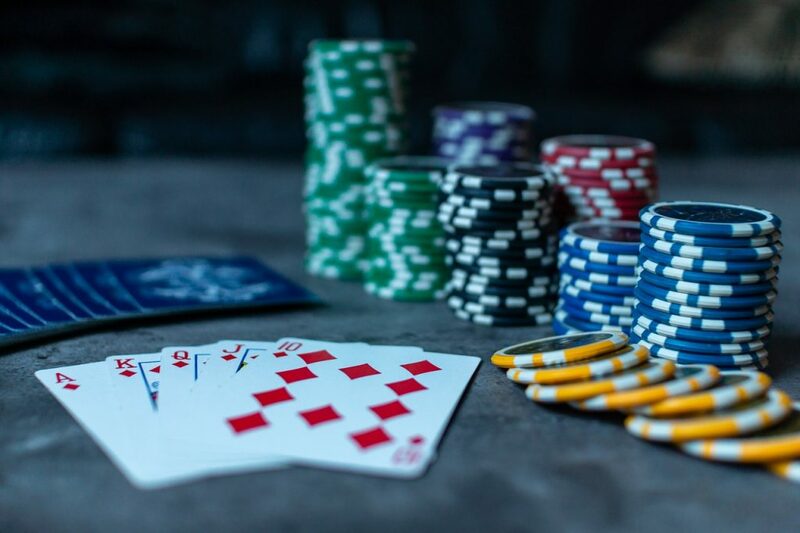 Besides gaming, most casino destinations offer the best value all-you-can-eat dining for the entire day, awesome live shows, and reasonably priced hotels. For those who love road trips, entertainment and are ready to indulge in good food, here are seven best American casino road trips to take. Las Vegas, America’s hottest casino destination has so much to offer. The good news is you can visit Las Vegas without spending time in the casinos. There’s something for everyone. Neon lights, thousands of fountains, live music and replicated iconic sights line The Strip from the Mirage, Bellagio to the Flamingo and Circus Circus. The choice of resorts on Las Vegas Boulevard, also known as Las Vegas Strip are endless. Some of the best buffets (all-you-can-eat) are offered at Bellagio Buffet, Feast Around the World in Green Valley Ranch Resort, The Buffet at Wynn, Paris La Village Buffet in Paris Las Vegas, and Bacchanal Buffet in Caesars Palace. Thrill-seekers will enjoy Adventuredome, a five-acre glass-enclosed adventure park located at Circus Circus Hotel & Casino. There are roller coasters, carousel, spinning rides, mini-golf and more. Wetumpka, AL is 186 miles from Mobile and 49 miles from Auburn. Visitors can swim, water ski and fish at Lake Martin. And Coosa River. But Wind Creek Casino is the primary draw. The casino’s luxurious hotel has a pool with private cabanas and a few restaurants. Enjoy their around the world buffet available during lunch and dinner hours. Wind Creek’s steakhouse has been awarded “Best Steakhouse in Alabama.” There is live entertainment and of course a state-of-the-art gaming floor with over 2,500 games at the casino. You don’t have to worry about parking when visiting Wind Creek Casino. Located 209 miles from Portland and 197 miles from Spokane, Wildhorse Resort and Casino in Pendleton is easy to drive if you live in Washington or Oregon. Those driving an RV need not worry about finding an RV Park. Wildhorse Resort has an RV Park complete with hookups, laundry, shower, and a heated swimming pool. The resort has pet-friendly rooms, so you don’t have to leave your pet behind. Guests have access to all the restaurants including the breakfast, lunch and dinner buffets. There is live entertainment and a cinema complex. Soon, golf enthusiasts will get to play rounds of golf at the new 18-hole golf course, located at the foothills of Oregon’s Blue Mountains. Thunder Valley Casino and Resort is easy to get to from the Bay Area. It’s only 115 miles from San Francisco and 29 miles from Sacramento. Park your car and get ready to enjoy this resort. Thunder Valley offers luxurious and comfortable rooms and a full-service spa center. It’s an ideal location for relaxation, fun, and entertainment. Thunder Valley offers plenty of food options. Even the buffet theme changes throughout the week. Saturday evenings are devoted to prime rib and crab along with the American, Italian, International food stations. Slots, poker, table games, and bingo are some of the fun games you’ll find at the casino. Mohegan Sun in Uncasville, CT has long been a weekend getaway for those who enjoy gaming, shopping, live entertainment and a variety of dining options – all at one place. Mohegan Sun is located just 128 miles from New York City and 107 miles from Boston. There are three casinos, 75 shops, restaurants and bars, a 10,000 seat arena for entertainment and shows, a golf course and a world-class spa. Seneca Niagara Resort & Casino is located in Niagara Falls, NY. Guests can enjoy a day at the Niagara Reservation State Park which surrounds Niagara Falls. Walk across Rainbow Bridge, the bridge connecting the American-side and the Canadian-side of the Fall. But remember to bring your passport to re-enter. The best time to do that is in the evening. Seneca Niagara Resort provides comfortable accommodations, lively entertainment, and many dining options. Perhaps try the buffet at Thunder Buffet. Stay, dine and rock, that is the slogan for Seminole Hard Rock Cafe and Casino in Tampa. The resort has an impressive list of restaurants including Hard Rock Cafe and a buffet dining room. There’s also Rock Spa and Salon where you can relax and get pampered.